A driver has narrowly escaped after catastrophically crashing his £200,000 Ferrari - just an hour after he bought the luxury motor. 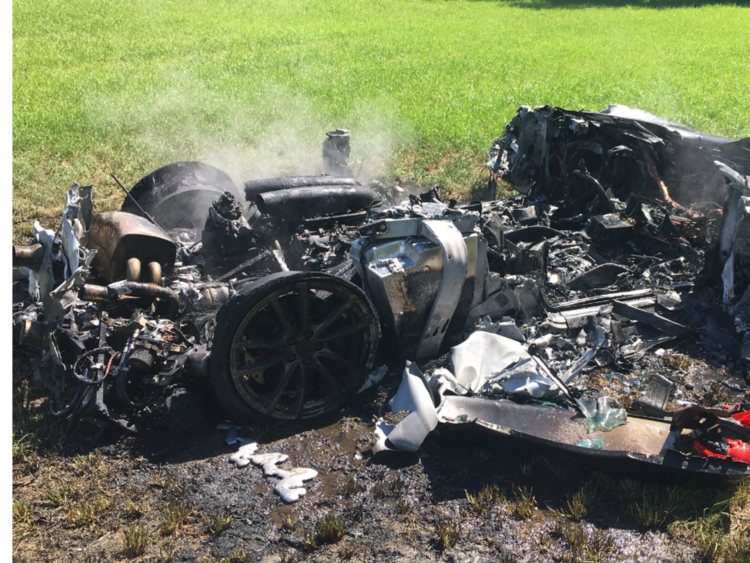 The Ferrari 430 Scuderia spun off the M1 near junction 37 in South Yorkshire and flew into the air, before bursting into flames and ending in a twisted wreck 50 metres down a bank in a field. The driver, who has not been named by police, lost control of the car in wet conditions. He emerged from the wreck with only cuts and bruises. Police described the man's fate as a "miracle escape". In a statement on Facebook, police said they asked the driver what kind of car he had. He replied: "It was a Ferrari." "I've only just got it, picked it up an hour ago," he added. In the same post South Yorkshire Police reminded drivers to take care on the roads, explaining that in recent weeks "driving styles have not reflected the road and weather conditions".